Thay's teaching has inspired and guided our Sangha since it was founded. He had a brain hemorrhage on November 11, 2014. 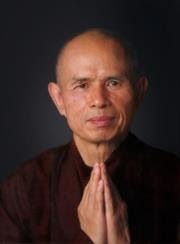 Remembering Thay's teaching that the present moment is a wonderful moment, our Sangha has been following his condition. The following is a reproduction of the official announcement that was made on December 13, 2014. We offer our mindfulness and metta to Thay.